If you have an emergency and we are unavailable, please contact our trusted friends at the Animal Emergency Hospital in Bel Air 410-420-7297, or the Pet ER in Towson 410-252-8387. *Please inform our staff in advance if you need to make special arrangements to pick up your pets during our limited weekend hours. Please email form with any existing medical records to jacksonvillevet@jvh.info or fax to: 410-666-0233. Jacksonville Veterinary Hospital has been a country vet in the heart of Maryland for over 45 years. Thanks to our wonderful clients, we have grown to a six doctor practice with an experienced staff ready to cater to you and your beloved pet. We are equipped to care for mammals from pocket pets to cats and dogs. Here at JVH, we believe in preventive medicine and recommend annual exams to track your pet’s progress from the very first visit, well into their adult and senior years.Our services include examinations, vaccinations, surgery, dentistry, radiology, ultrasonography, pain management, boarding, grooming, and more. We have a pharmacy on site, as well as an online store for your convenience. Dr. Britta Larsson has been with our team since 2017 and specializes in Acupuncture and alternative therapy. She graduated with her doctorate of Veterinary Medicine from Oklahoma State University. In addition, she focused on acupuncture/herbal medicine and later graduated from the Chi Institute of Chinese Medicine. We are so excited to offer a new alternative to traditional Western Medicine. Pictured here with Dr. Larsson is her dog and acupuncture patient, Zoey. 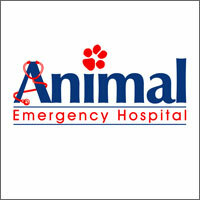 If you have an emergency and we are unavailable, please call the Animal Emergency Hospital located at 722 Belair rd. in Bel Air, MD. by dialing 410-420-PAWS (7297) or the Pet E.R. located at 1209 Cromwell Bridge Road in Towson by dialing 410-252-8387.